Good Morning All! Happy Hump Day! I am super excited to be Guest Designing for Miss Kate Cuttables today! I have LOVED these files for such a long time now, so when I was asked to Guest Design for them I was a pretty excited girl! Miss Kate Cuttables does a Freebie File of the Day EVERY single day! If you want to know when the new files come out, join our Facebook Giveaways and Freebies group! Now, for this project you will need some type of Iron on Transfer. 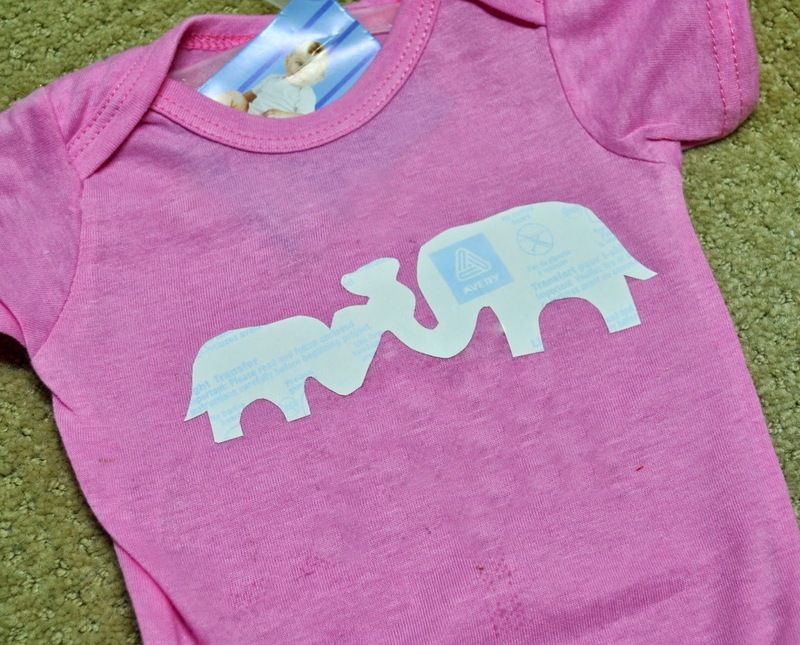 Here I used the Avery Light Iron on Transfers. I printed out the Love You Tons file onto my Transfer Sheet and hand cut around it, getting as close to the image as I could without cutting into it! I also cut out the sentiment. Make sure your surface (Onsie) is ironed and on a flat surface. Use a thin, clean dish towel to Iron on the transfer on High Heat and no Steam. Let Cool completely before pulling off. If you have any edges of the transfer that are trying to pull away from the garment, simply put in the dryer on high for a few minutes. 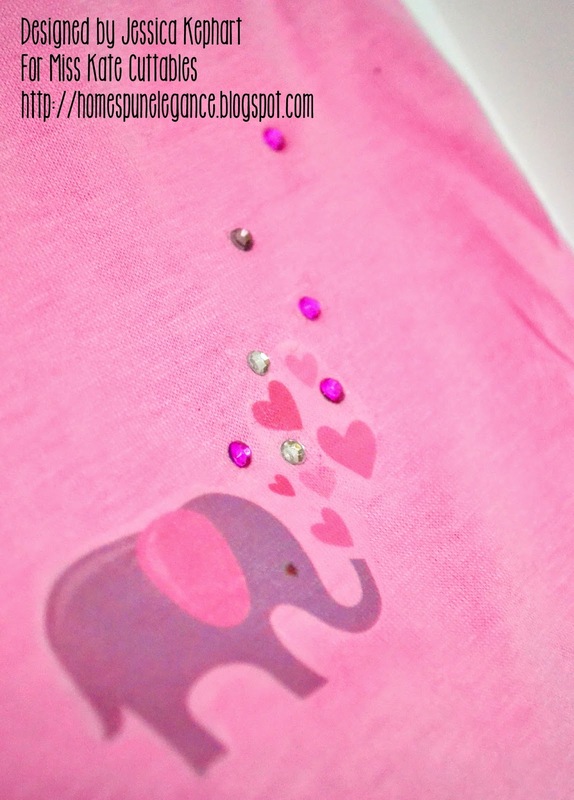 I added some Hot Fix rhinestones to this one to flow with the hearts. Isn't this simply adorable! I made this for my niece Alyson. She had a little Baby girl not too long ago that I have yet to meet! They live in California, where I grew up. I can't wait to send it to them! Now, I am known for putting a little something extra on the bums of onsies. I just can't help it I think it is so cute and it's really the only time you can get away with it! 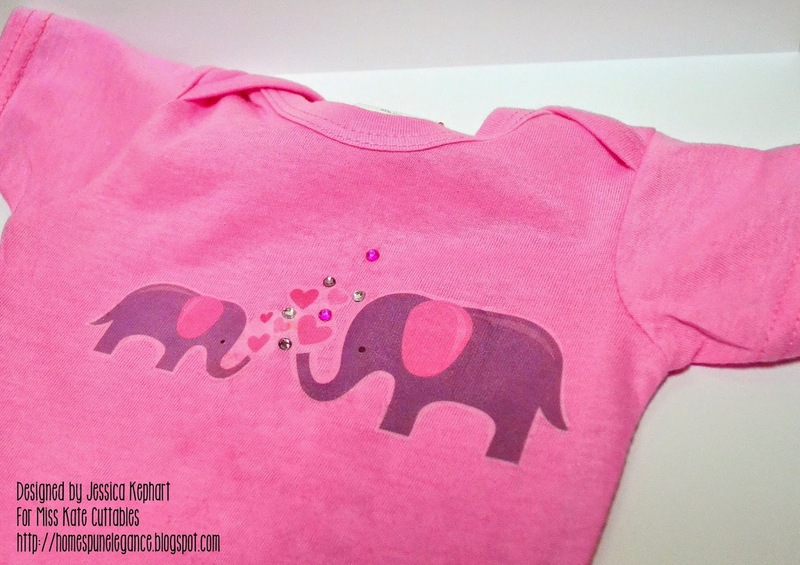 On the same transfer sheet I printed the image twice and cut out only the baby elephant and the hearts for the Bum of the Onsie. I think it completes it! Thanks so much for stopping by! I hope you will stop by the Miss Kate Cuttables blog and Facebook page to say hi and get your Freebie today!